For the second or third programming course. A practical and unique approach to data structures that separates interface from implementation. 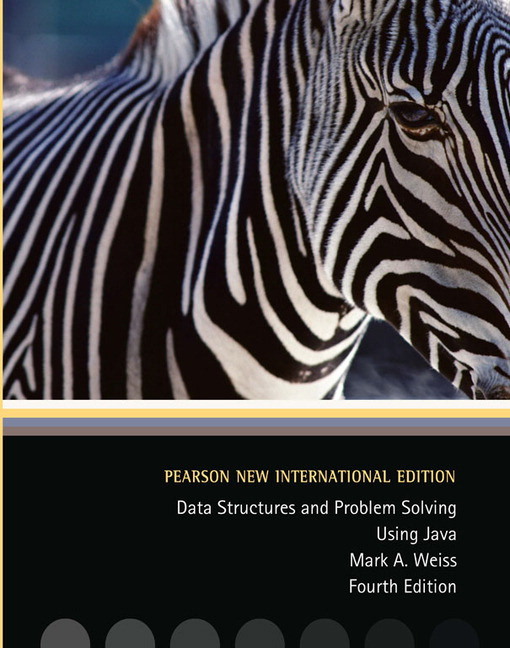 This book provides a practical introduction to data structures with an emphasis on abstract thinking and problem solving, as well as the use of Java. It does this through what remains a unique approach that clearly separates each data structure’s interface (how to use a data structure) from its implementation (how to actually program that structure). 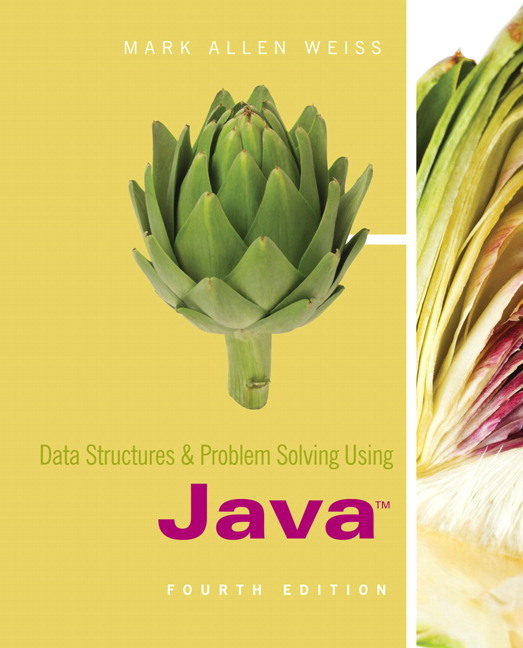 Parts I (Tour of Java), II (Algorithms and Building Blocks), and III (Applications) lay the groundwork by discussing basic concepts and tools and providing some practical examples, while Part IV (Implementations) focuses on implementation of data structures. This forces the reader to think about the functionality of the data structures before the hash table is implemented. The Fourth Edition features many new updates as well as new exercises. Unique approach. Weiss separates the interface of a data structure (Part 2) from their implementations (Part 4) to motivate abstract thinking and problem solving. Students are then asked to use the data structures in Part 3 (Applications). While this book has some mathematical content, it is not overwhelming. Incorporates new features of Java 6.0. 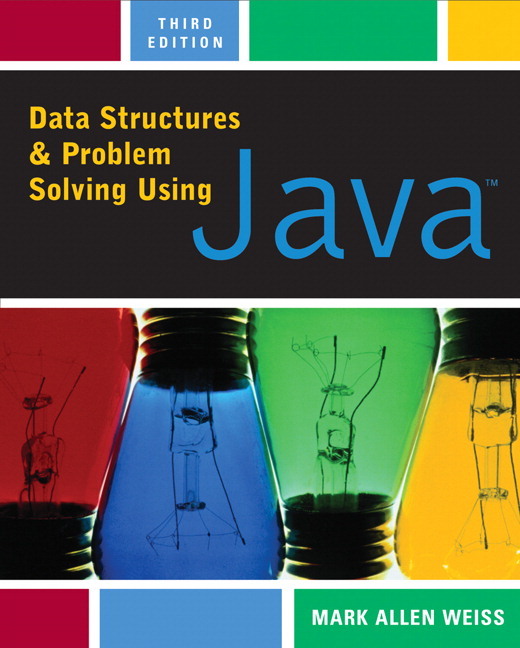 Provides an introduction to Java in Part I for readers without previous experience using Java. Discusses advanced structures in Part V.
Provides an implementation of a large subset of the Collections API in Part IV. Teaching resources for instructors containing solutions to problems and exercises. A set of slides covering all chapters, suitable for use in lecturing. NEW. This edition provides additional discussion on using classes (Chapter 2), writing classes (Chapter 3), and interfaces (Chapter 4). NEW. Chapter 6 contains additional material discussing the running time of lists, the use of maps, and the use of views in the Java Collections API. NEW. The Scanner class is described, and code throughout the text makes use of the Scanner class. NEW. Chapter 9 describes and implements the 48-bit linear congruential generator that is part of both the Java and many C++ libraries. NEW. Chapter 20 has new material on separate chaining hash tables and the String hashCode method. Mark Allen Weiss is a Professor in the School of Computing and Information Sciences at Florida International University in Miami Florida. He received his Bachelor's Degree in Electrical Engineering from The Cooper Union in 1983, and his Ph.D. in Computer Science from Princeton University in 1987, working under Bob Sedgewick. He has been at FIU since 1987, and was promoted to Professor in 1996. His interests include data structures, algorithms, and education, and he is most well-known for his highly-acclaimed Data Structures textbooks, which have been used at hundreds of universities worldwide.